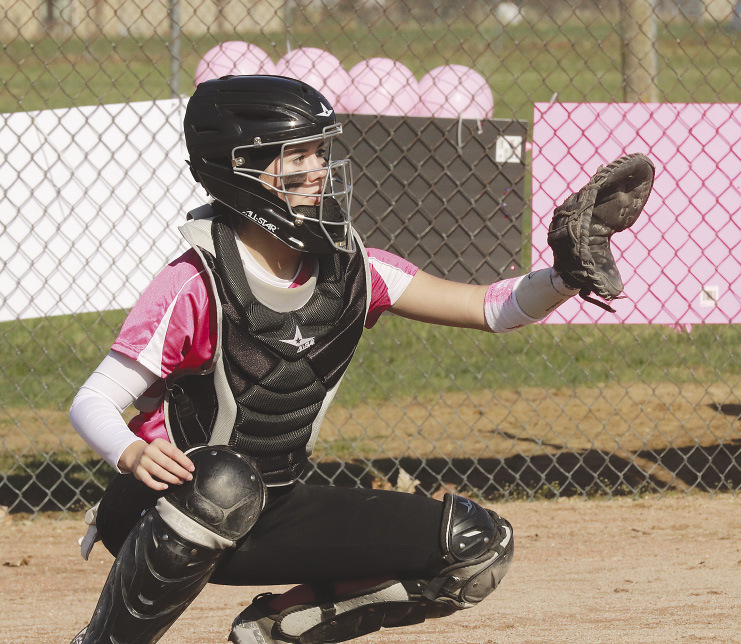 The sixth annual Cancer Tournament was hosted by the Deckerville Lady Eagles. The teams included Ubly Varsity and JV, Mayville Varsity and JV, Marine City Varsity, and Deckerville Varsity. The weather was beautiful despite the high winds the day before that took the power out in several surrounding areas, including Deckerville. 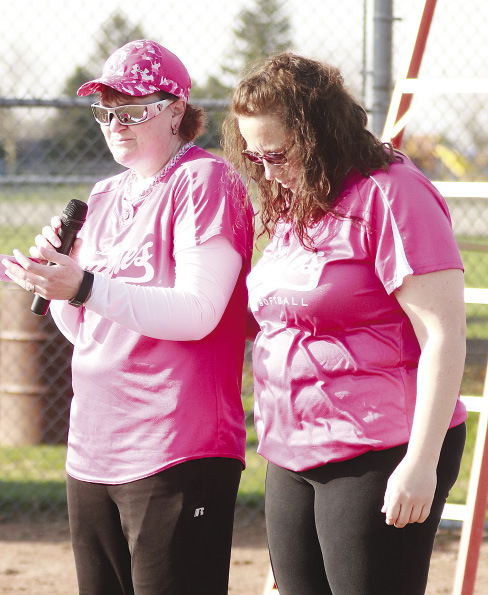 During the opening ceremony, Haley Kubacki, former Ubly softball player, threw out the first pitch to her sister, while Mark’s other daughter and his wife stood behind Haley. Mark Kubacki’s family was who Ubly was playing for in the cancer tournament. 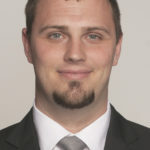 Mark Kubacki lost his battle to cancer in April. Marine City was playing for Lisa Pettinger. She is a mom of two boys who attend Marine City. She was recently diagnosed with breast cancer, and just recently had to shave her head due to her treatments. Deckerville Lady Eagles was playing for Michelle Powell, who is the aunt to #32 Haileigh Foote. She was diagnosed with cancer in 2014 with a cancerous lump; the tumor was considered stage 1. She did treatments, had a lumpectomy and was considered cancer free. In January of this year, another cancerous lump was found, and she is in stage 3. In April she had a bilateral mastectomy. She will begin her chemotherapy treatment in another week. The tournament concluded with two undefeated teams, Marine City and Ubly, playing a great seven inning game for the trophy. Marine City beat Ubly 10-4. The overall tournament records were the following: Marine City went 3-0; Ubly went 2-1; Deckerville went 1-2; Mayville went 0-3. The tournament was a true success. 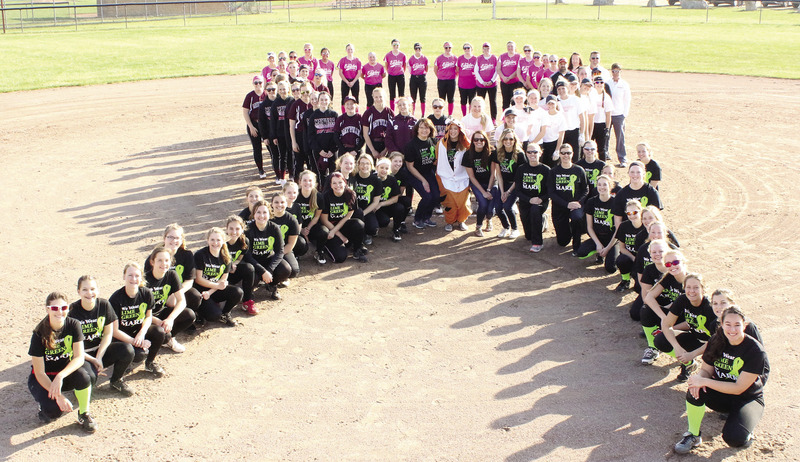 Money was raised for families whose loved ones are battling cancer, and all the games were competitive. This tournament had many people who helped make it be successful. Thank you to Jim Nichol, Paul Guza, Adam Foote, and Jeremy Kosal for raking and chalking the fields after each game. Thank you to Adam Foote for donating the 50/50 winnings. Thank you to Amy Roach for collecting donations and running the 50/50 drawing. Thank you to Merlann Keinath and Kathie Spranger for announcing and keeping book. Thank you to Sharon Rich and Jackie Salowitz for taking pictures. Thank you to the Deckerville PTO, especially Misty Oldenburg, for running the concession stand despite no power, and for donating 50% of the their proceeds to this great cause. The purpose of this tournament is much more than playing softball. This softball tournament is a chance for all of us to come together and celebrate those who beat cancer, to give hope and strength to those who continue to battle cancer, and to be a remembrance to those who fought the valiant fight against cancer and now rest in peace.